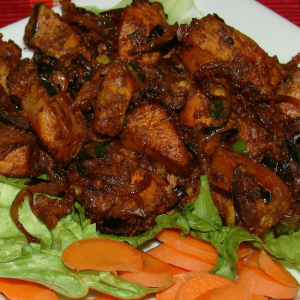 Come on friends let us try Simple South Indian Dry Chicken Tribal Style ;). Grab your apron and give a bright smile. Note: Special point for Guy’s. Find it below. 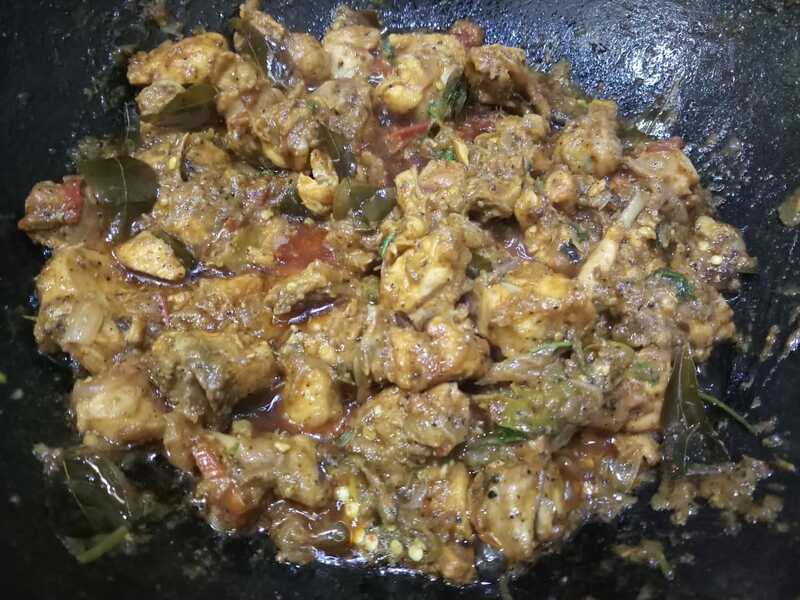 This is very simple chicken fry that we use to cook when we are in forest and it will sure tease your taste buds. Allow it for another 10 mins in medium heat. And as I use to say don't forget to add LOVE 🙂 . Tada, Simple South Indian Dry Chicken Tribal Style is ready. Eating with boiled rice(not cooker rice) will be heavenly. That to while boiling the rice add 1/4 tea spoon of cumin seed init will give more flavour. I do understand if your going to cook this, then you are going to start a party. In that case and if kids are not around then add 2 dry chillies for the extra hit. Moreover, Guys and Girls after trying this recipe please post your comment. Just don’t go and sleep after eating. Enjoy!